In mid-September, the Venezuelan government implemented, through the basket of international currencies, the use of the Yuan (Chinese currency) in payments for the sale of oil. This is a blow to the dollar, which has been the currency in which oil is bought and sold internationally. This shows once again the pro-Chavez Venezuelan rulers’ affinity with the Chinese imperialists by publishing the price of their oil in Yuan. At the same time it is the way that Venezuelan President Maduro is responding to the US economic blockade by aligning even more with the Chinese and the Russians. Venezuela is one more point where the inter-imperialist contradictions are becoming sharper. The fight over which currency oil will be sold in is part of the fight over which imperialist will dominate the world. It will inevitably lead to World War. All the capitalists-imperialists want us to butcher each other over which group of them will rule the world and exploit us. The opposition, led by the pro-US Venezuelan bosses, attacks the new measures arguing that these do not have a practical purpose and that Venezuela will be the most affected since the US is one of its main buyers of oil. The Chavista economists defend these policies arguing that the use of the Yuan will not be a big problem for trade since this currency has a greater and greater presence in the economies of Latin America. Chavism is the movement of 21st Century Socialism, led by Hugo Chavez, representing the Venezuelan capitalists allied with the Chinese and Russian imperialists. Tony Boza, a Chavista economist, tackles this issue: “In 2009 they articulated an agreement with Argentina, because the Yuan has its own strength; about 70 billion Yuan are the equivalent of about US$ 10.7 billion at that time; in 2015 China opened an office in Chile where only Yuan and Chilean pesos are traded; currently they have an agreement with Qatar and Canada that is on the order of 200 billion Yuan. That is, we are facing the reality in which the Yuan is already an accepted currency worldwide.” Chavism continues to have confidence in the capitalist economy using anti-US imperialism as its justification. Chavism was able to prevail against the opposition in the recent elections, winning 17 of the 22 state governors of the country. Maduro achieved a temporary stability to counter the offensive of the pro-US opposition. This is another step in the process of Chavism in Venezuela that does not guarantee a solution to the crisis. However, we can see how millions are attracted by the socialist rhetoric with the hope of building a new society. This is an enormous potential to mobilize the masses for communism. Chavism does not have confidence in the revolutionary potential of the Venezuelan masses. Let’s bring our communist ideas to them! The working class in China and Venezuela working class continues to be exploited under a capitalist economy. These are socialist societies that maintain the material basis of buying and selling and of wage slavery. The real solution to the economic crisis is not in another currency, or changing to another imperialist. It is the organized struggle for communism, where money will not exist, and the things we need in life will not be bought or sold. The material conditions for the working class to control and organize a production based on our needs are present in the whole world. 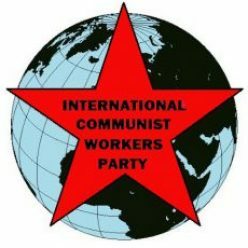 As the International Communist Workers’ Party, our work is to organize massively with communist ideas. We do not want control of any country to create a new market. We want to create a new way of producing, a new distribution, and a new form of living. The Venezuelan capitalists and the Chinese imperialists do not have the same interests as the working class in Venezuela and China. Allying with them must not be our alternative. The power to create planned production based on meeting the needs of the masses and to promote cultural changes that allow forging this new society will be found in the masses. Fighting to build Communism, we will face enormous challenges like the elimination of money, the market and profits. It will be the mass organization under a communist line which will allow us to confront those changes.